• Ah, Gay Paree! On Nov 25 - 28th, Paris, France (that's right) will be having big vegan festival including a fashion showcase that I am hosting! I'll be showing off my oui-oui along with other special guests, food demos, makeovers, art showcases, athletics, conference lectures, and more. If you ever needed a reason to visit Paris and skip Thanksgiving dinner with those annoying relatives who always ask why you won't eat the sad turkey carcass on the table, fly over the ocean to where Thanksgiving doesn't even exist! 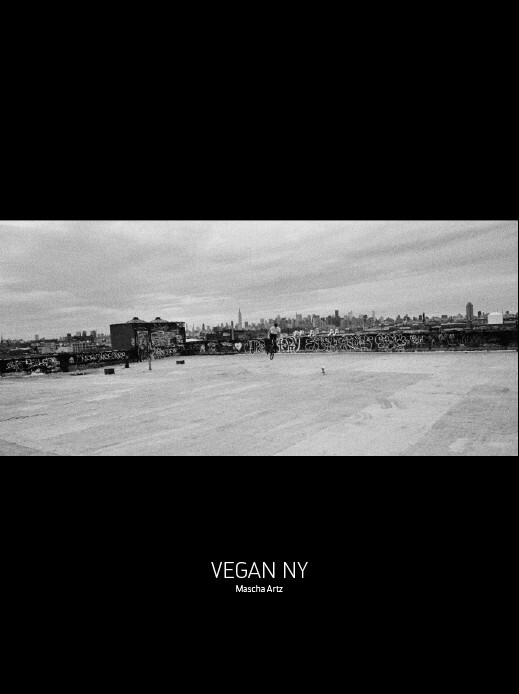 • German documentary photographer, Mascha Artz is selling her coffee-table book, "Vegan NY" for a good deal right now. For the month of October, when you purchase the book at about $122, you get all five postcards, a poster, and a sticker for free! • What do strawberry soft-serve and mechanically separated chickens have in common? Read this sad and funny blog entry to find out. Hint: that's not ice cream.